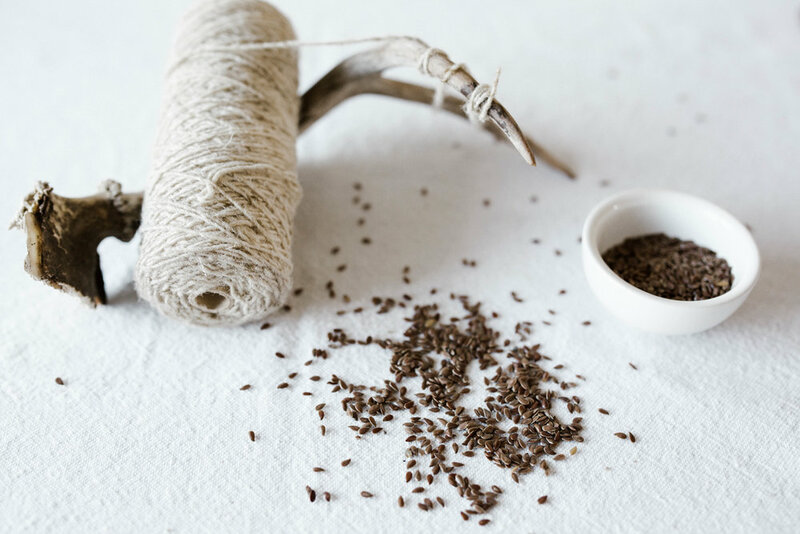 Wool + Flax is the coming together of three dear friends with the simple philosophy that savory, visually pleasing, and grandiose (unnecessarily complicated) cakes, make things better. We believe that though our cakes in their final forms are short-lived, the mirth that they bring to any occasion leaves a permanent feeling of goodness. Our cakes are more than eggs, butter, and flour. We put thought, heart, and earnest hands to each cake order. It is our desire to accommodate all with the highest-quality of taste and appearance; a cake that will woo your stomach and eyes (y’know the same things that we look for in a fella). Alyssa is one of our top-notch bakers. She is quick-witted, quick-talking, and even quicker with a whisk. 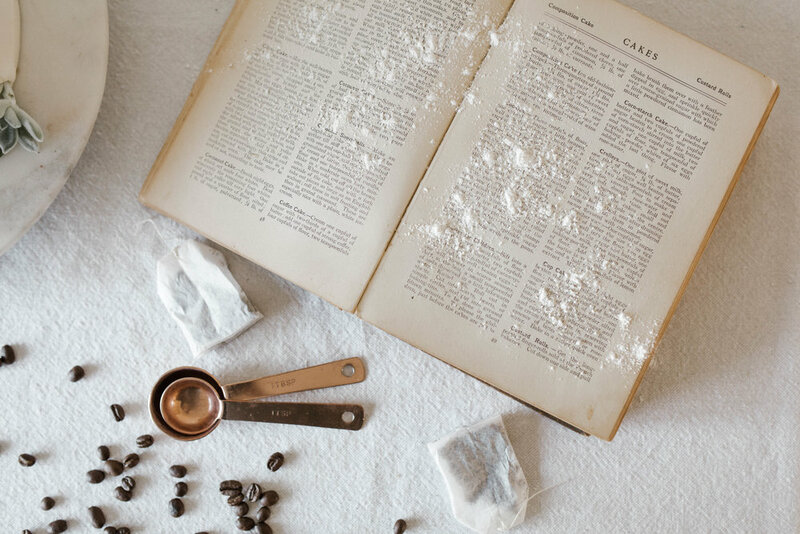 She bakes just as she lives; with passion and whole-heartedness. Alyssa began baking at a young age; always eager to treat those that she loves with something sweet. Food is her love language. She has grown in skill and know-how thanks to her willingness to try new recipes. She does not rest until she perfects each one. Alyssa also has a keen eye for detail. Her cakes are beautifully designed and put together with the utmost care. You could say that her work is all done in good taste (ba dum tss). She has recently relocated to Decatur, Texas so if you’re a Texan in need of some life changing cake, she’s your gal! She also can whip up a yummy latte or cocktail at her daytime job at Trinity Street Coffee Bar. Her favourite cake of ours is "chai a little tenderness" (chai cake, apple cider cinnamon glaze filling and honey buttercream). Dani is another one of our brilliant bakers and nonchalant typographer. She has a steady hand for lovely hand lettering and a steady temperament (she’s the coolest and collected-est). Danielle exceeds at everything that she puts her hands to; baking, hand lettering, decorating, nursing (she does it all). She’s also quite the friend of food and drink, which makes her friendship to Alyssa quite natural. Located in Riverside, California, Dani is currently finishing up her bachelors degree in nursing all whilst planning to marry the love of her life this coming June. You can find her in scrubs or thrifted clothes 90% of the time (she doesn’t play around when it comes to a good bargain). Dani spends her self care time doing yoga, being outdoors, cuddling babies or creating just about anything she can get her hands on. Danielle is the sweetest thing in Wool + Flax, and that’s saying a lot, because we make cakes. Her favourite cake of ours is black tea paired with a rosemary buttercream. Melissa is the creative spearhead. She is behind our aesthetic and bon mot. Melissa studied visual communications and deeply appreciates attention to detail. She is a gatherer of lovely things and maker of installations. She goes to great lengths to beautifully present our cakes and make you laugh with a pun or humorous cake name (yes, we name our cakes.) Her favourite cake of ours is called “Big Fudge,” a chocolate on chocolate ode to Marshall from HIMYM.